Casey Schulman's family wants Dominican authorities to speed up investigations into the death of their daughter and to arrest Andrew Armour of Anchorage Dive. Schulman, a student of the University of Virginia, was killed in the sea off the coast of Mero on Saturday December 1, 2012 when she was struck by the boat's propeller captained by Armour. Schulman sustained injuries and was pronounced dead on arrival at the Princess Margaret Hospital. The Schulman family has retained the services of law firms Kellogg, Huber, Hansen, Todd, Evans & Figel, P.L.L.C in Washington DC, Robert L. Parks in Miami and Norde and Lambert Chambers in Dominica. In a letter dated April 12, 2013 addressed to Director of Public Prosecutions Gene Pestaina and Police Chief Daniel Carbon from the Washington law firm chided the Dominican authorities for not taking action four months after the incident. "Last December I wrote to you on behalf of the family of Casey Schulman who was killed December 1, 2012 when the captain of the Passion Andrew Armour, ran over Ms Schulman. "While as a former federal prosecutor, I appreciate that investigations and the exercise of prosecutorial discretion take time, I have become concerned about the amount of time that has passed since Schulman's traffic death. As you know, from the numerous reports of Schulman's death in Dominica that are listed in the attached letter, the world closely followed this matter and continues to do so. 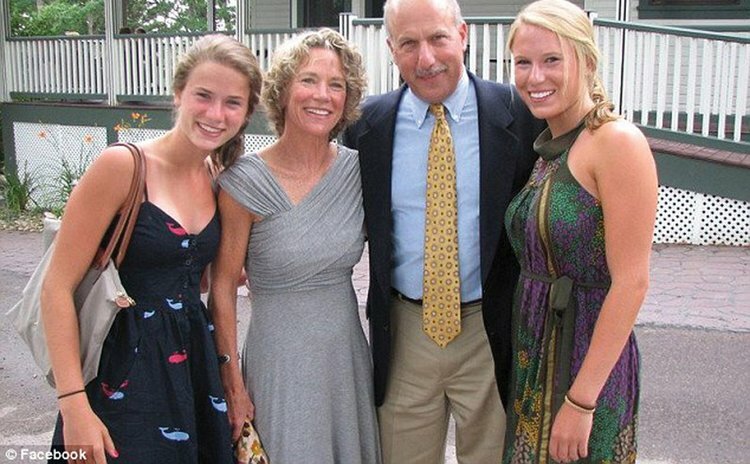 "Indeed, a scholarship in Ms Schulman's memory has been established at her high school and a team of runners will be raising funds for that scholarship at the Nike Woman's Half Marathon in Washington DC on April 28. "The question Ms. Schulman's family and friend repeatedly ask is when Mr. Armour will be brought to justice in Dominica. I would appreciate the courtesy of a reply to this letter, although I appreciate that you are constrained by the law with regard to the quantum of information you can provide," the letter stated. The Sun has been informed that investigations into the matter which was under the control of a corporal of police seems to be heading "nowhere" even after the DPP intervened in the matter. "The DPP called and requested the file and he was told to write and via letter dated April 4, 2013 he wrote but he is yet to be acknowledged on the matter," a source told the SUN. "Where is the file? What is going on and why he (Armour) has not be arrested and charged for man slaughter and why a corporal of police is the lead investigator given the gravity and sensitive nature of the matter," the source asked. The lawyers have warned that if Amour is "not arrested" this may have implications for the tourism industry of Dominica. When contacted by the SUN Armour said he has a local as well as a St. Kitts-based law firm acting on his behalf and was not prepared to say anything else. The office of the DPP declined a request for comments.